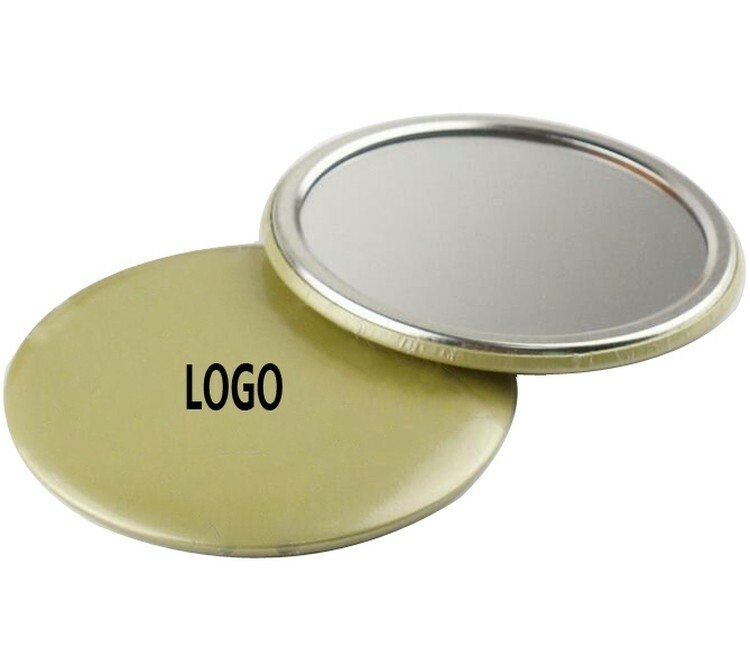 Round Hand Mirror. Made of tin-iron. Clear mirror reverse. Any color/image background. Customer will value this handy minor and reflect on your ad message for years to come. 2 11/16"D.